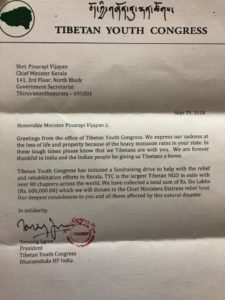 TYC donates the raised funds of Rs. 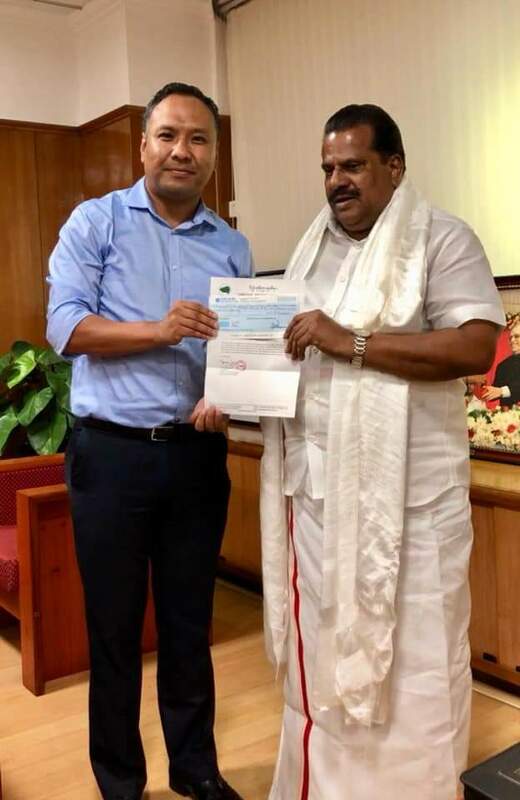 Six lakhs (Rs.600,000)to Kerala Chief Ministers distress relief fund. TYC President Tenzing Jigme personally met with Kerala state government’s Honourable Industries, Commerce, Youth and Sports Affairs Minister Shri EP Jayarajan, who is charged with officially receiving contributions to the Kerala Chief Minister’s Distress Relief Fund and handed over the cheque to him. The minister expressed his profound gratitude as President Jigme conveyed to him that these are donations made by TYC members and Tibetan living all across the world offering our solidarity during these tragic times. TYC thanks our members, chapters and all those who contributed towards this campaign. Thukje Che!